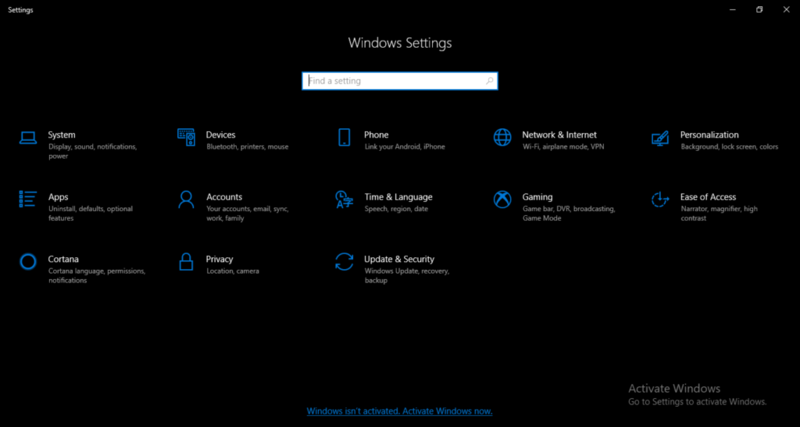 Customization or personalization is indeed the most important feature provided by Windows 10. 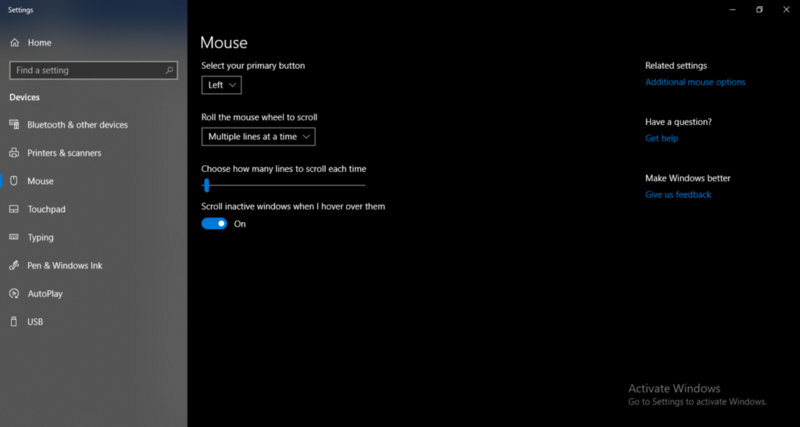 Just like all other devices, the mouse settings and the way it functions can also be customized. 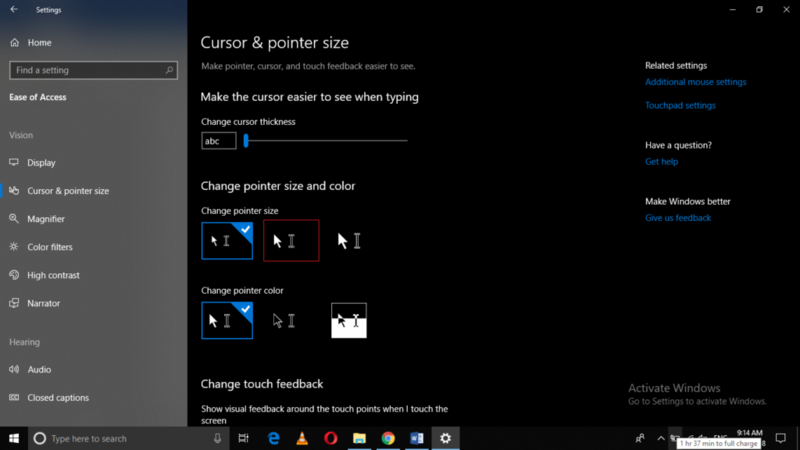 For example, you can change the size of the mouse pointer, you can change its color, you can change its shape, you can change the speed with which it moves over the screen, you can swap the function of its clicks etc. 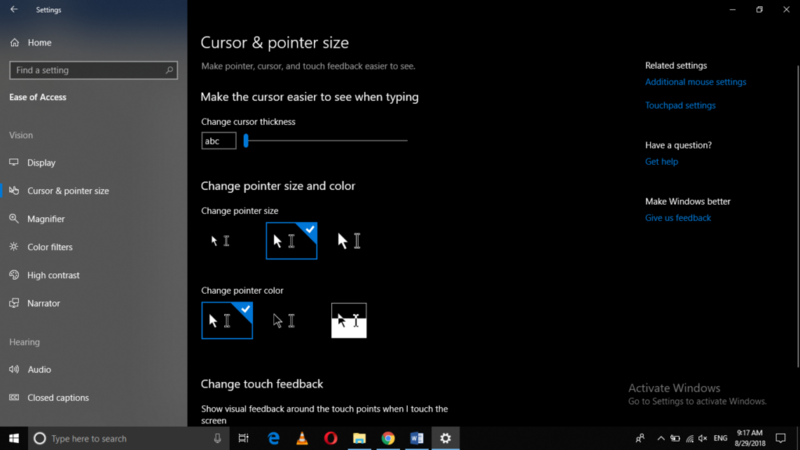 In this article, we will explain to you some methods through which you can change the mouse pointer size in Windows 10. 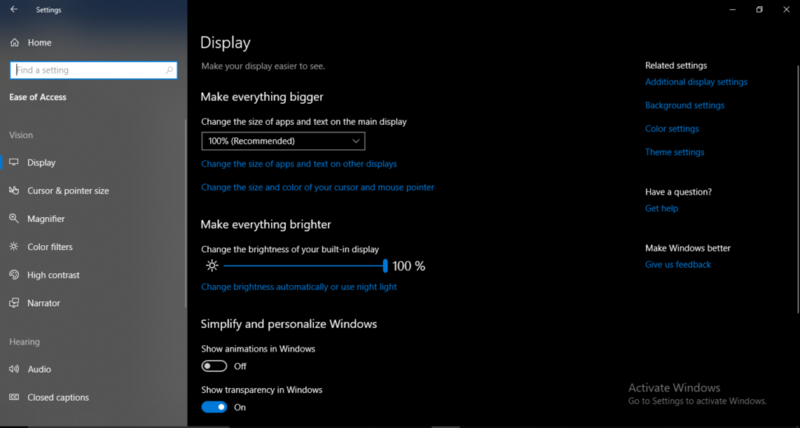 As you can see from the image above that the default pointer size is highlighted with a blue color. Now, I will change it to the second size shown on the list. I have highlighted that size with the red color. 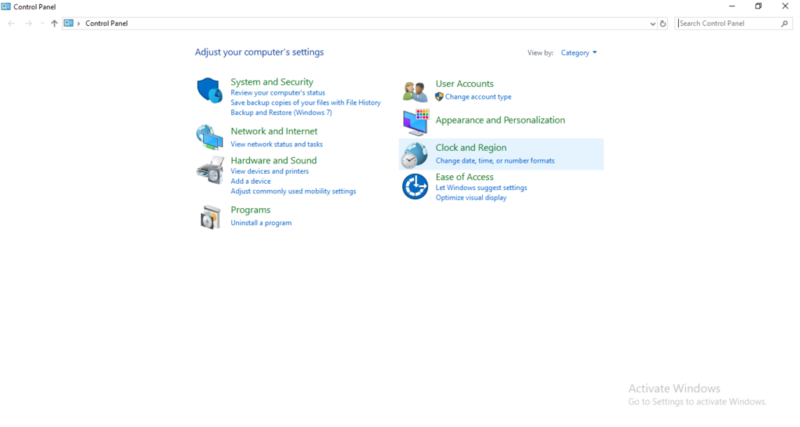 Close the settings window when you are done. 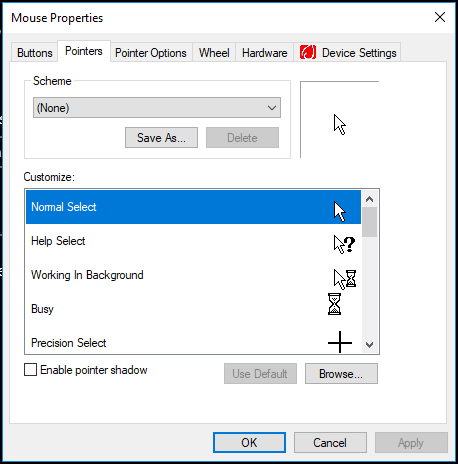 Select any scheme of your choice from the Scheme dropdown list to change the mouse pointer size. 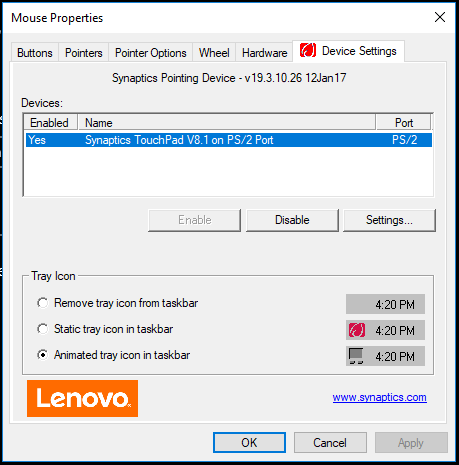 Click OK to save your new mouse pointer size settings. 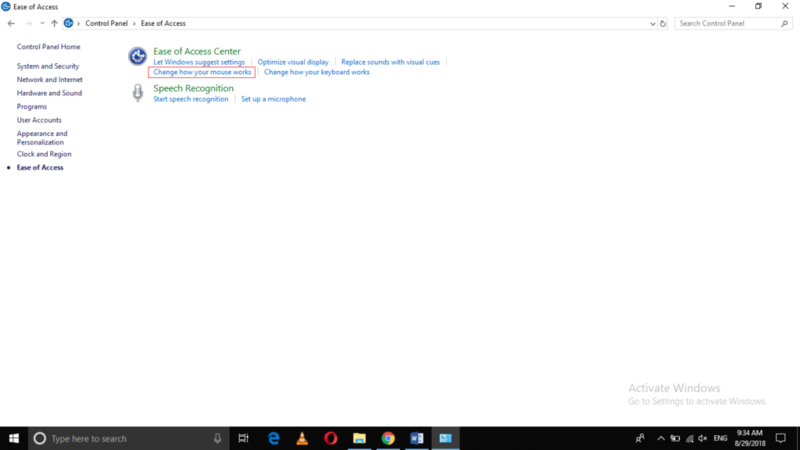 Click on Ease of Access tab located at the bottom left of the image shown above. Now select any size of mouse pointer from the list shown above. 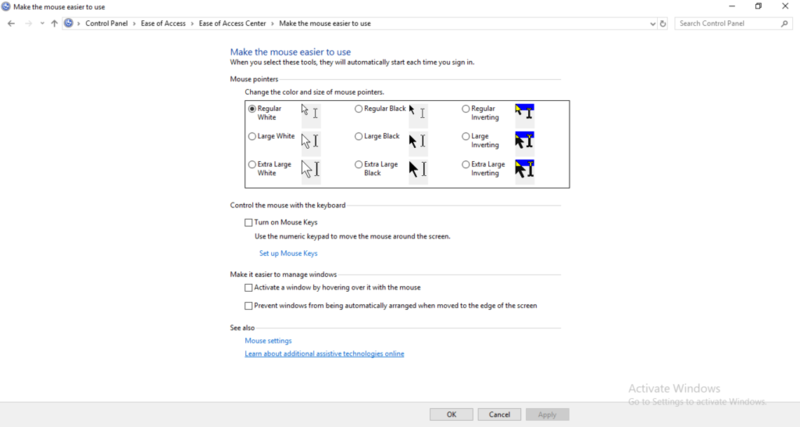 Finally, click on OK to save the new mouse pointer size settings. Sometimes, a little personalization is necessary for everything. At times, it is just for fun but there are times when it becomes a necessity. For example, there can be such a computer user who is very brilliant but has some eyesight issues because of which he finds it difficult to visualize the normal default-sized cursor. In such cases, personalization is required. Fortunately, Windows 10 provides you with the facility to make customizations to your daily routine objects. 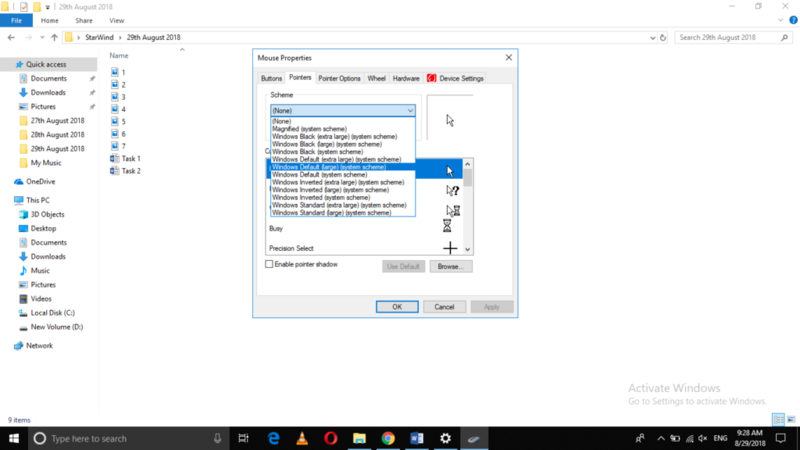 By making use of any of the three methods listed above, you can easily change the mouse pointer size according to your needs and you can always get back to the default size by following the same methods.